Our mission at Pirate’s Cove is to focus on the highest quality of customer service a World Class Marina can provide. We are here to make your stay more enjoyable as any boating resort community can be. Our goal is for Pirate’s Cove Marina to be your number one destination along North Carolina and the entire East Coast. Call our Reservations Team at (888) 314-5795.  Pirate’s Cove boasts a protected, deep water, full service marina consisting of over 194 slips and a charter dock of sport fish boats, which ranks as one of the world’s finest and most experienced. The depth within the basin at mean low tide is between 7′ and 8′, with a tide of only about 1′. We have a fuel dock for gas and diesel, but almost all of the boats can fuel right in their slips from mid-fueling stations strategically placed along our docks. Pirate’s Cove Marina is approximately ten miles inside and north of Oregon Inlet via a deep water, well marked channel. The fixed bridge clearance of the Manteo/Nags Head causeway is 60′ at mean high tide. Pirate’s Cove Marina is located on the west side of Roanoke Sound in a sheltered basin just north of the Roanoke Sound High Bridge. Heading south, bear southeast after leaving statute mile 65 at the entrance to Albemarle Sound. This North Carolina Marina is approximately 23 statute miles from the Sound. If you continue from Roanoke Sound into Pamlico Sound , it is approximately 90 miles to Oriental. There is reported to be 10 feet of water in the channel and 13 feet at the docks. The docks are stationary with finger piers and tie-off pilings. Call on VHF channel 78 and 16 for slip assignment and docking assistance seven days a week. The marina is open year-round.